I am sure you have said this on occasion ? Here are some links to some thermal ceramic insulating firebrick used in Kilns, smelters and for bench top melting of metals. Yes this is a shameless plug to make a buck or two. Excellent site and resource. Link to full page is below. The operation augments the Anti-reflux mechanism (lower esophageal sphincter) by placing a magnetic ring around the lower end of the esophagus. The ring consists of magnetized titanium beads. At rest the magnetic attraction closes the ring around the esophagus and prevents reflux. During eating the swallow induced forces open the ring and allow the passage of food. Thus the magnetic ring works as magnetic sphincter. In addition, the ring generates a magnetic field, which is known to inhibit inflammation and pain (anti-inflammatory effect of the magnetic field). Magnets are truly Great ! China’s first rare earths exchange started trading on Friday as the biggest producer of the elements seeks to increase the role of the free market amid criticism overseas for limiting exports. Baotou Rare Earth Products Exchange in the Inner Mongolia autonomous region began trading europium oxide, praseodymium-neodymium oxide and cerium oxide, it said in a statement. The daily price movements of the contracts, denominated in yuan and for physical delivery, will be limited to a 6 percent range, except for the debut day, which allows for 15 percent, according to the exchange. China is bringing exchange trading to rare earths as it consolidates miners and refiners of the group of 17 chemically similar elements used in products from smartphones to helicopter blades and hybrid-car batteries. The trial comes after the World Trade Organization ruled against the country in the past week, agreeing with the US that limits on its exports violate trade rules. 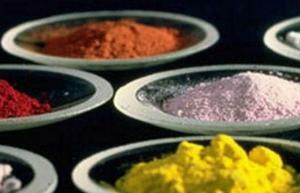 China accounts for 90 percent of the world’s production of rare earths. A cut mining permits and imposed production and export quotas in 2007 to reduce pollution and conserve supplies. The export controls have soured relations with the world’s major users, including the US and Japan, and spurred investments in Australia, Malaysia and the US. The opening-reference price of europium oxide was set at 4,000 yuan ($644) a kilogram, praseodymium-neodymium oxide was 320 yuan and cerium oxide 19.5 yuan, according to the Baotou bourse. Lockheed Martin Corp’s F-35 fighter jet is among weapons that contain neodymium iron-boron magnets made using rare earth material from China, a US Defense Department study in 2011 showed. China typically releases two export quota batches every year and, from time to time, makes purchases for government stockpiles when prices drop, Peng said. A dispute-settlement panel at the Geneva-based WTO on Wednesday determined that China didn’t adequately justify imposing export duties and quotas. The Association of China Rare Earth Industry will study details of the WTO report and evaluate its impact, Chen Zhanheng, a deputy general secretary at the association, said in a text message. China is trying to promote six companies including Baogang Group and Aluminum Corp of China to lead acquisitions in the rare earth sector, Peng said. The State Council in January also said it approved in principle Ganzhou city in the eastern province of Jiangxi setting up the largest rare earth group in southern China, under the Ganzhou Rare Earth Group, according to a National Business Daily report. Boulder Wind Power, a maker of a direct-drive system with what’s been described as a low-speed permanent magnet generator for utility-scale wind turbines, announced that it had received $35 million in investment venture capital firm NEA and rare-earth producer Molycorp. But BWP isn’t the only direct-drive startup, so I wondered, why is Molycorp interested in it? For example Danotek, a high-speed permanent magnet innovator, also has been highly touted and nearly the same time BWP was getting its new investments, Danotek also was receiving a nice venture funding package from GE Energy Services, CMEA Capital, Khosla Ventures and Statoil Hydro. One of the most distinguishing characteristics of the BWP PMG design is that its magnets are part of an axial flux air core machine which operates at relatively low temperatures and are made with a rare-earth metal called neodymium. More commonly, PMG magnets are part of iron core radial flux machines like Danotek’s, operate at relatively high temperatures and require a rare earth metal called dysprosium. In very round numbers, Butterfield said, dysprosium sells – in today’s very constrained market dominated by China’s hoarding of its unique rare earth metal supply – for around $1,000 to $2,000 per kilo; neodymium sells for about $100 per kilo and is relatively more common. “While the US currently has no capacity whatsoever for production of NdFeB magnets and intermediate magnet materials (metals and magnet alloys), it does control one of the world’ s largest and richest rare earth deposits at the Mountain Pass, Calif., facility. … [P]lans are in place to bring the facility back into full production over the next couple of years. In addition, with appropriate federal assistance for research and development and capital costs, [Molycorp Minerals] is prepared to move forward to reestablish domestic manufacturing capacity for both intermediate magnet materials and finished NdFeB magnets on an expedited basis. Butterfield predicts its costs of generating electricity could drop to $0.04 per kilowatt-hour with a PM generator system.